Sound Forge adds some newer features and improvements that make it a worthwhile purchase or upgrade. 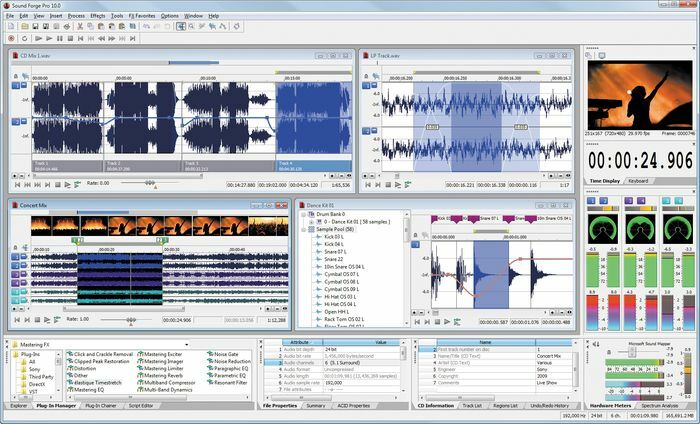 When it comes to Windows platform digital audio editors, Sound Forge has always been at the top of the list of audio professionals. I've used Sound Forge for audio editing pretty much since its inception and have followed it closely up to version 7. Upon hearing the news that Sony has version 10 out I've been rearing for a chance to see what's has changed and what improvements have been introduced since then. Some of the new features in Sound Forge 10 (street price $400/$250 upgrade) include iZotope SRC (sample rate conversion) and MBIT+ dither (bit-depth conversion), Zplane élastique Pro time stretch and pitch shift plug-in. Sony have also added editing and work flow enhancements such as precise event-based editing, customizable window layouts, floating docks, musical instrument file support, and integrated disc-at-once CD burning capability. The effects section has also been beefed up by the Mastering Effects Bundle 2 powered by iZotope. This new version of Sound Forge also supports multichannel recording (originally introduced in Sound Forge 9). Packaged with Sound Forge 10 is also Sony's Noise Reduction 2.0 software and CD Architect 5.2 CD creation/ burning software. The list of new features and upgrades is extensive, so for full list of features and upgrades, please visit http://www.sonycreativesoftware.com/soundforge/techspecs. Sound Forge installed within few minutes and upon providing serial number and registering through their web site I was up and running. The iZotope Mastering Suite plug-in registration was a bit more cumbersome as I had to create an account, wait for an email and then register the software. Upon starting Sound Forge I was greeted by the familiar screen and regardless of the many changes and additions that touch of familiarity remained. As with their other applications - I enjoyed the straight-forward utilitarian approach and the functionality that is usually one click away from the main menu. If you're used to doing things a certain way in its older versions - here you will feel right at home and go on working without skipping a beat. I decided to first test some of the new features in this package and incidentally had some older analog tape recordings that needed a bit of cleaning up. The Noise Reduction package was up to the task and managed with some minor tweaks to clean up most of the tape hiss from the tracks. Since I needed to bring up the volume of these files I also fired up the Mastering Effects Bundle by iZotope. The Mastering Limiter did an admirable job with little fuss and I also felt I could use a little sweetening so I tried the Mastering Exciter on its "Subtle Mix Color" setting which after a little tweaking was just perfect. I previewed the tracks with plug-ins via the Plug-In Chainer and ensuring that they were satisfactory I committed them to the tracks. I then proceeded to load them in CD Architect, where I selected gaps between songs, dithering and proceeded to create the final CD. I also discovered that one of the new features is that music can be written to CD directly from within SF 10 by selecting regions or material within markers and selecting the Track- At-Once command. Disc-at-once functionality has also been added to Sound Forge 10, so you can burn straight to disc without even leaving the software. On the navigation side of things I enjoyed having being able to create customizable window layouts for different functions, like for example CD editing and mastering. The Multitask Background Rendering capability (introduced in previous versions) also proved very effective as I could work on a new file while Sound Forge was applying changes to another one in the background. Sony has also added iZotope 64-bit SRC™ (sample rate conversion) and the iZotope MBIT+™ Dither (bit-depth conversion) algorithms for better quality file conversion from higher rates. Regardless of the changes, the mastering process remains for the most part as in the earlier versions, with the addition of the iZotope mastering suite providing more options in terms of plug-ins. The Zplane élastique Pro time stretch plug-in also added the flexibility to speed up/slow down samples without changing pitch - a tool handy when learning songs or stretching loops. 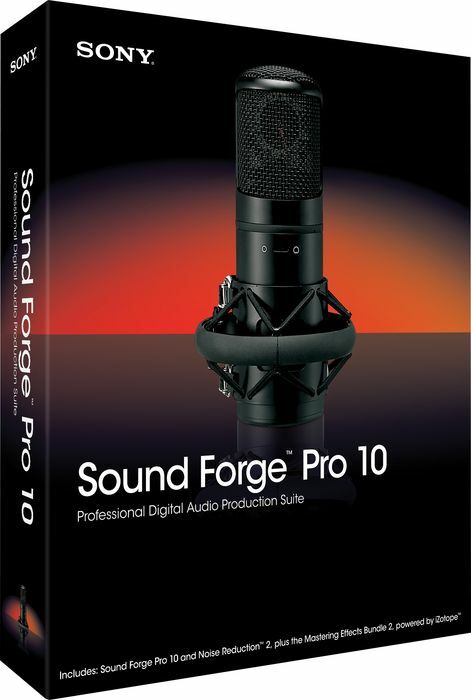 Sound Forge 10 builds upon the strengths of its previous releases and adds some extra goodies and refinements. If you need a dedicated audio editor for mastering, cutting music to video, stretching and editing loops, burning to CD, file conversion, audio restoration - you can't go wrong with this one!